2. Settling particles in the air. 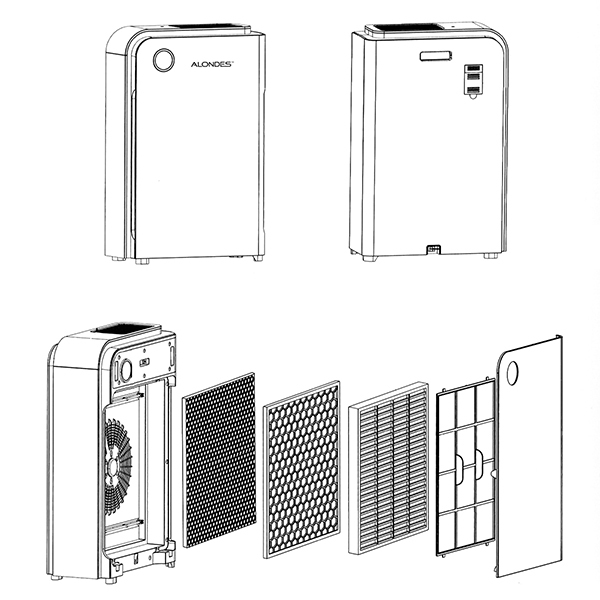 The air purifier can effectively settle dust, coal dust, smoke, fiber impurities, etc. in the air.A variety of respirable suspended particulates to prevent the body from breathing to these harmful dust particles. 3. Remove microorganisms and pollutants from the air. The air purifier can effectively kill and destroy the air and the surface of the object.Bacteria, viruses, mold, mold, and at the same time remove dead dandruff, pollen and other sources of disease in the air, reducing disease in Propagation in the air. 4. effectively eliminate odor. Air purifiers can effectively remove chemicals, animals, tobacco, soot, cooking, garbage the strange smell and polluted air are distributed, and the indoor gas is replaced continuously for 24 hours to ensure a virtuous cycle of indoor air.